You shined at Roller Funk Party. Your enthusiasm invites us to renew our collaboration with Point Ephémère for one Paris electro night on Thursday 11th of April. It’s an opportunity to introduce Samantha, programming manager at Point Éphémère, on the Saint-Martin Canal banks, to present this next event. /How did you discovered Flaneurz? /What’s your link with roller skate universe? “Taking part at a roller party convince me to roll more oftenly. It's very elegant, especially when I see skaters choreographies. I'm going to take part at the next Roller Electro Party workshop (subscription here)! The last time, I chose pink skates with flames. I received many compliments. I saw Veja V-12 Almond Pierre on your e-shop and I find them very beautiful. I'd like to wear them for the Paris electro night”. /What’s your feedback about Roller Funk Party ? “The staff liked to see people going around the place, roller skates at their feet. Our resident DJ loved to watch skaters dancing during his set. The next day, he sent us a lot of videos. We had a concert at the same time. It was amusing to watch the public taking part to roller party after the show. It's one of the best evenings”. /Why choosing electro theme after funk? 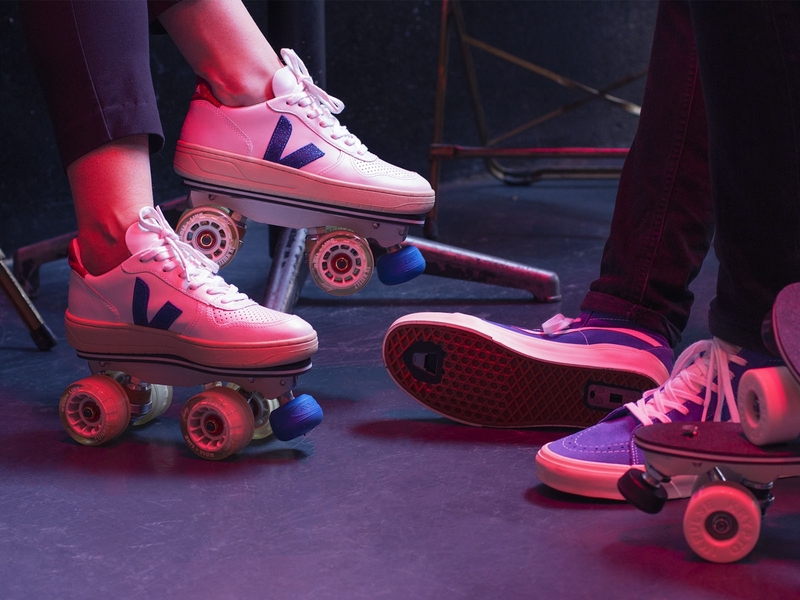 “Roller skating is back in the fashion spotlight with the vintage trend. With Roller Funk Party, I wanted to organize an event in this spirit. With the Clique, we wanted to highlight this "neo retro" movement. That's why, we offer this Paris electro night. Our regular customers are eager for this kind of event “. /What’s the objective with Roller Électro Party? “We want to offer a fun activity through a roller dance workshop. It’s an opportunity to (re)discover skating. With the following roller party, our objective is to make a sport accessible while having fun“. 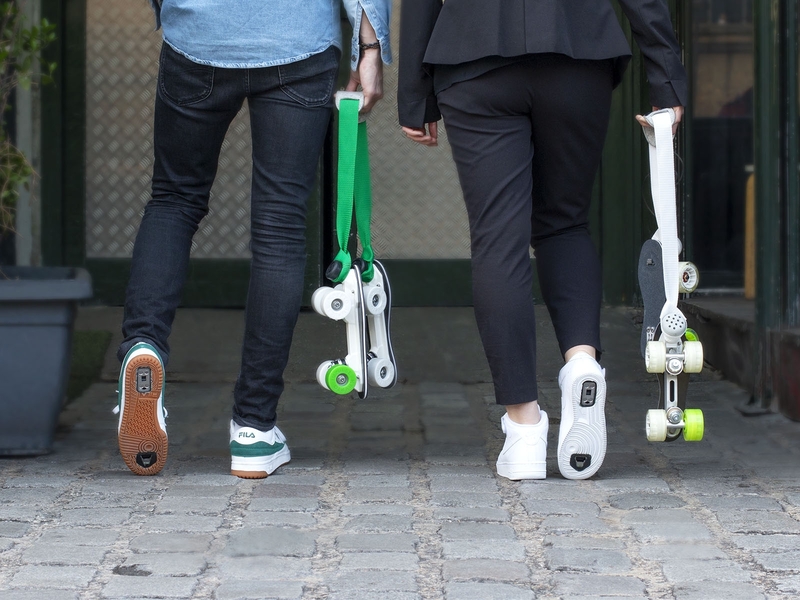 From 6pm, Clique and Point Éphémère staff welcome you for a roller dance workshop animated by Florian Gravier, Flaneurz co-founder. Come and learn this discipline by (re)discovering choreographed dance steps on an electro playlist. Once your moves are assimilated, join the dance floor to continue the Paris electro night until midnight! Possibility to rent skates, from EU32 to EU46 (5 euros/hour). Inline skates are allowed. /How to get to Point Ephémère ? We are looking forward to welcoming you to this Paris electro night which promises to be electric.